Divorcing can be hard for all parties involved, including you and your ex-partner and especially your children. 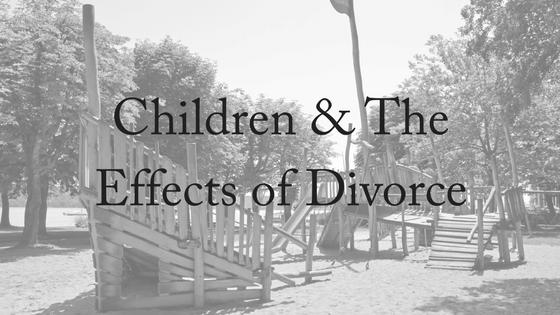 Children at a young age and an older age all deal with divorce differently, and the changes may be hard to spot. As you go through the procedures of divorce, you may forget the needs of your kids. Don’t feel bad, even the best of parents do this at times. However, below we have compiled some information on how to best prepare and look after your kids while going through divorce. Each child deals with divorce differently, and the attitudes being displayed by the child may be a result of their maturity level or age. Children from the age of 1 to 3 tend to sense the tension surrounding and building within the home. However, due to the lack of maturity, they are unable to understand why this may be occurring. They may become clingy and throw tantrums in an effort to seek comfort. During this young age, routine is best to help build a sense of familiarity.At this age, your children will be in need of more love, comfort and reassurance than ever, so make sure you continue with routine and try to protect them from conflict and tension. Young children tend to blame themselves for tension within their family unit. They may try their absolute hardest to prevent the parents from divorcing. A child around this age is still learning from example, and a parent must remain positive in order to ensure positivity is reflected throughout the home. While you must address the sadness of divorce, talking openly about the topic will help them understand. Allowing them to be sad or upset is important. School age kids deal with divorce completely differently to younger children. They understand more and you may therefore find your children siding with one particular parent. They may fear they will become abandoned and not considered at all during the divorce, which is why they may focus their attention on one parent. They may not necessarily blame themselves, but they still feel as if there is something that can be done to save the marriage. Quality time spent with a child of this age is vitally important. Both parents should be contributing to paying attention to this child and encouraging their feelings to be shared. Teenagers tend to act out in anger, and may side with a parent. They have a deeper understanding of the divorce and when looking at the facts, they will target the blame at one parent for the breakdown of the family. Teenagers learn a lot about relationships from their parents, and so it’s important to protect them from conflict and tension where possible. They may almost be adults, but they often still don’t have the maturity to understand the reasons for the relationship breakdown fully. They have spent multiple years with two parents, and suddenly being reduced to one can cause a lot of hurt and betrayal. It is recommended that while they may be angry, you talk with your ex-partner and come up with ways in which you can retain a close relationship with your children. As they grow older, they will value the support. 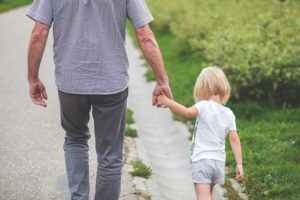 A child of a divorced parent, Patrick Barkham, stated that he is forever thankful that his father never gave up on him and repairing their relationship. 1. Give your kids the freedom to love both parents equally, so don’t bad mouth your ex to them. 2. Be consistent and reliable. Kids need these two things particularly during periods of instability. 3. Be as honest as you can about what’s happening, in an age-appropriate way. 4. Recognise that the kids might need counselling, especially during the divorce as well as afterward. 5. Be empathetic about the loss and grief they are experiencing. You may hate your ex, but they don’t. 6. Put their needs first, above your own. Nothing you do will be in isolation of how it will affect them. 7. They need your love most of all. Smother them with love. Divorce is hard. It is the second most stressful event you can go through in life. Often there are feelings of betrayal, hurt, grief and anger to process and this is no easy task. So be gentle with yourself. You’ll have bad days and make mistakes. But you will get through it. And so will your children. Our family lawyers are experienced in finalising divorces in collaboration with both parties. We understand how hard it is to go through a divorce and we try to make it as hassle-free and stress-free as possible. Contact us today to talk to one of our experienced family lawyers!